I know, I know, two coffee-related posts in two days. Sheesh. This is Friday of my first week at a new job. It’s been full. I’ve been stretched. It’s been amazing. And today, I received a beautiful gift. As I was making my latte, I looked up and realized that I had 15ish precious, beautiful minutes ALONE. No demands for the next quarter hour. So I stopped. Put my travel mug away. And grabbed my favorite mug. 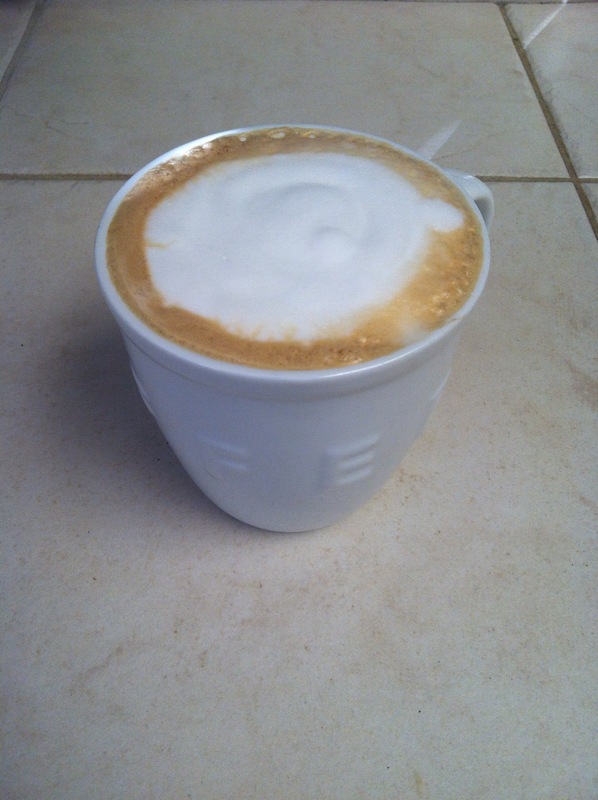 (The two-handed one that can’t go in the car, with “COFFEE” formed in the side of its white porcelain self) I made the latte, and b-r-e-a-t-h-e-d.
Moms, take your minutes. Accept those gifts of a place to stop wherever in your day. Say a prayer of thanks. Think about your gifts. And listen to your soul.